Drinking and diving don't mix, but we've found one exception. At the Edivo Vina winery about an hour north of the Croatian seaside town of Dubrovnik, you need to slip into a wet suit for a cellar tour. That's because this winery stores and ages their – aptly named – 'Navis Mysterium' or 'Sea Mystery' wine – 20 meters (66 feet) under water. Sea Mystery wine begins life above ground as other wines do. The regional grapes are harvested, pressed and bottled, then aged for three months on land. Then it gets interesting. Cork and two layers of rubber seal the bottles which are then enclosed in amphorae – locally made clay vessels like the ones used in ancient Greece with a narrow neck and double handles. To make them water-proof, they are lined with a thin layer of resin, just like the ancient Greeks did. Then the amphorae are submerged underwater in steel cages for two more years of aging. Divers visit the 'cellar' to check on them regularly to ensure they remain sea-proof. When they emerge from the 'cellar', the amphorae are covered in sea life: shells, barnacles, coral and seaweed. Just like a storybook treasure you might discover on a sunken ship. And not one is exactly like any other. But the sunken treasure look wasn't the winemakers' motivation for this unique cellar location. They believe the depths of the Adriatic Sea provide ideal cool and consistent temperatures as well as silence that improve the wine's quality. You don't have to take their word for it, though. If you have diving credentials, you can go on a supervised dive to one of their underwater wine cellars in a sunken boat. 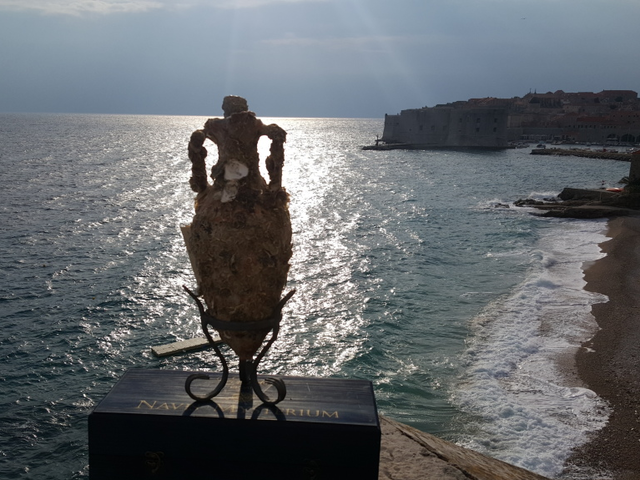 On dry land, you – and any non-diving visitor – can enjoy a ceremonial opening of an amphorae-enclosed bottle and this one-of-a-kind wine in a spectacular seaside setting. You can even order them in pine gift boxes. It took the vintners 3 years to perfect the process and to source entirely local materials. 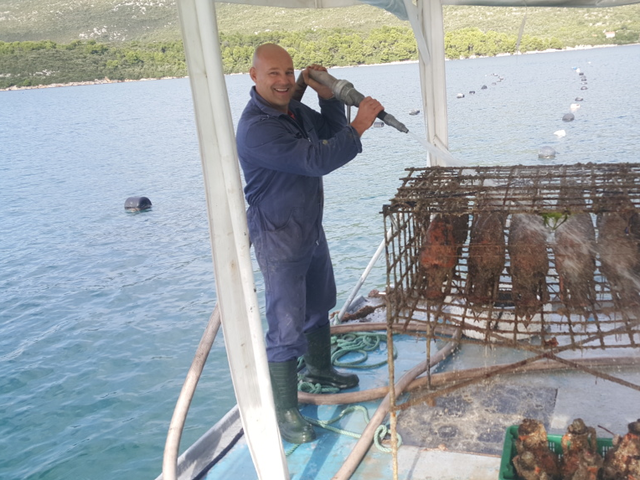 The grapes, clay, wrought iron, pine, glass and cork used in the making of 'Sea Mystery' wine are all products of Croatia – a true taste of the ancient Adriatic. With a price tag in the hundreds of dollars, a bottle of 'Sea Mystery' wine won't be the least expensive bottle of wine you acquire on a trip to Croatia, but it will definitely give you the best story to tell while you're drinking it with your friends at home.